If you haven’t heard by now, Vancouver is getting its second Apple Retail Store, and it opens this Saturday at Oakridge Mall. The first Apple Store in Vancouver opened downtown at Pacific Centre. This new location is eagerly anticipated by myself and others included because of…FREE PARKING! Parking in Downtown Vancouver can get costly when you’re having a marathon “visit” at the Apple Store to look around. 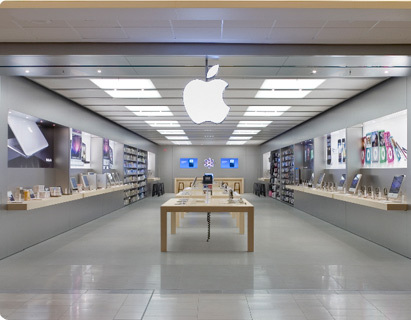 Apple’s not finished with its retail grand openings this weekend just yet. Quebec is getting its third retail location in Pointe-Claire. There’s no word when Quebec City will get a retail location. This location plus Oakridge above will mark the 13th and 14th Apple Stores in Canada. J’aime Apple, mes amis! Looks like this is becoming an Apple tradition to give away t-shirts to the first 1000 customers. But like the Rideau location, Pacific Centre, and the Winnipeg Apple Store (slurpees FTW), once again you can line up for some free swag. So if you’re in Vancouver or Pointe-Claire this Saturday, get up early and be prepared to stand in line for these grand openings! Who’s going to be lining up this Saturday?